Orthopedics is a field of medicine that deals with the diseases and injuries of the musculoskeletal system. This system includes the bones, joints, tendons, ligaments, nerves and muscles. Knee Replacement Surgery is offered to people who suffer from severe damage to the Knee and face excruciating pain and have restricted movements. The first line of treatment is to offer medical management, but when the benefits are limited and not beneficial then Knee Replacement is offered to the patient. Joint Replacement Surgery is a relatively latest field of orthopaedics where the major joints such as hip and knee joints are replaced by artificial metal implants. “Movement Experts” – this is how we proudly address our Physiotherapy department at Hyderabad Multispeciality Hospital. The qualified professional team of physiotherapists have a systematic and caring approach while they plan with the patient for physical therapy. Your situation is unique. This is our starting point. Embarking upon a health procedure, whether simple or involved, can be an anxiety-producing experience for most patients. What would you do when you have no cash at home, no health insurance and you or someone in your family has been suffering from an illness? You might either postpone the surgery or try to get a LOAN. 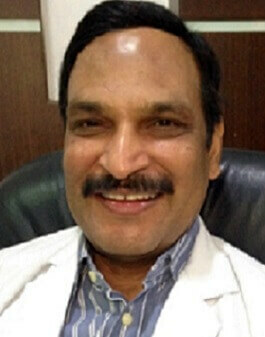 HMH is a one stop centre for joint replacements in Hyderabad. What makes us special is that we are available, accessible and affordable 24 / 7- all within your reach under one roof.
" Life is movement - movement is life "
Orthopedics is a field of medicine that deals with the diseases and injuries of the musculoskeletal system. The Department of Anaesthesia offers outstanding patient care for the full spectrum of medical and surgical indications. 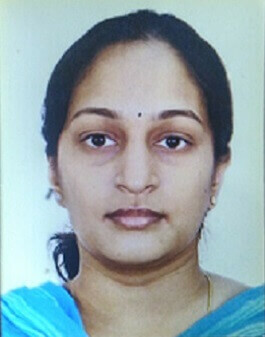 Woman life revolves around the numerous responsibilities, such as taking care of home, family, and work and so on. 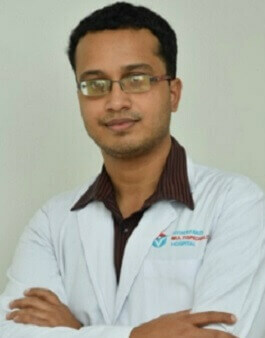 The Department of Neurology at HMH provides comprehensive care for all brain and spinal disorders. “Movement Experts” – this is how we proudly address our Physiotherapy department at Hyderabad Multispeciality Hospital. The Department of Radiology at HMH offers highly specialized care to patients who need state-of-the-art diagnostic imaging. 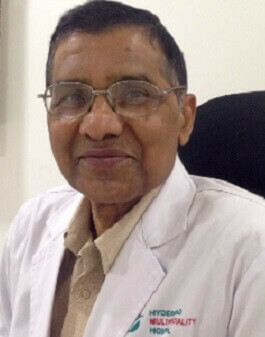 Hyderabad MultiSpeciality Hospital, Malakpet is not just another hospital in the city, it is an endeavor to multiply and expand the devotion and dedication of Dr. A. Vishnu Vardhan Reddy in providing quality care to his patients in the field of Urology since 20 years. "It's only when Best of the Skill meets Best of the Technology,YOU can expect the Best of what modern Science can offer for an optimized Healthcare",is what our Director Dr. M. Pradeep Reddy firmly believes in. 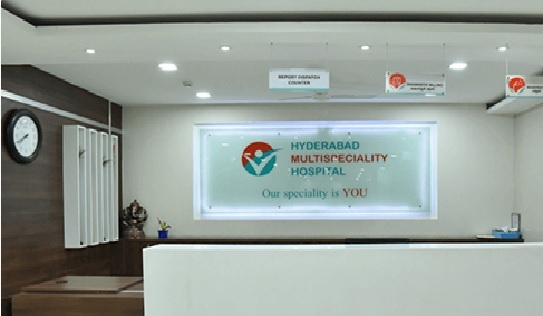 Hyderabad MultiSpeciality Hospital is one of the best multi speciality hospitals in the Country,which brings to its patients one destination for all their medical problems. 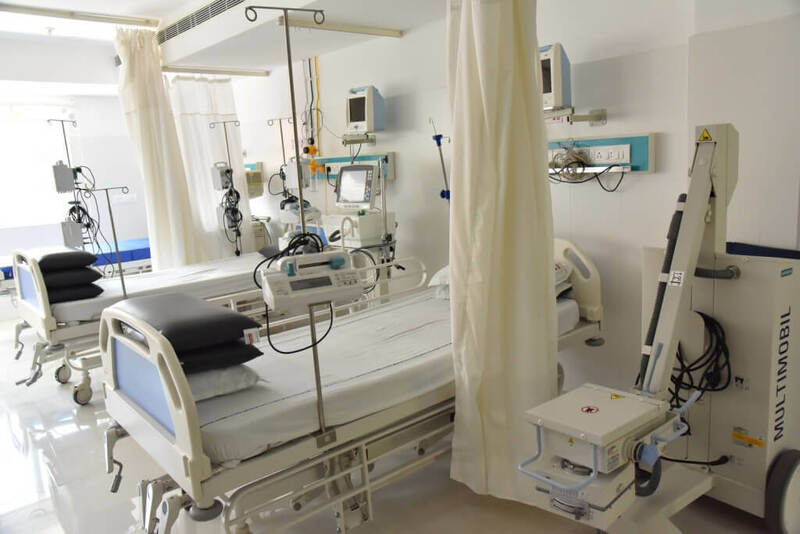 This Hospital is a place for YOU, offering corporate and world class care with state of art infrastructure and techniques while keeping it Affordable. As one of the best multi speciality hospitals in Hyderabad strive to address all our patient’s concerns with a broad smile and a personal human touch. With us YOU are safe while YOU feel at home. ComprehensiveBone and Joint care - all under one roof. Modern state of the art, modular operation theatres with laminar air flow and HEPA Filters. ICUs equipped with latest monitoring systems , ventilators and other life saving equipments to cater to all contingencies. Protocols for stringent Infection control for safety of everyone. Highly qualified, experienced and exceptionally compassionate staff to handle all emergencies. Feeling of being at home with our spacious private , semi private and economy rooms with natural ventilation, privacy and ambiance. To treat patients with medical expertise with integrity and ethics, professional excellence, State of art infrastructure, exceptional care and compassion at an affordable rate. 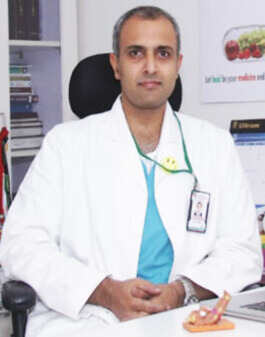 Our team comprises of expert medical professionals providing Quality Care guided by evidence based medicine with highest level of values, integrity and ethics. To provide a hygienic and clean homely atmosphere to all patients during they stay in the hospital. Our 24/7 lab and radiology department work towards ensuring quick turnaround time for all investigations ordered. Needs of people differ from one another- No two people are alike. Our skilled and professional team at HMH plans out and prepares tailor made treatment for each patient to help them to come to normalcy at the earliest.raw denim aesthetic synth nesciunt you probably haven't heard of them accusamus labore sustainable VHS. Patient feedback reveals the confidence with which the patient comes and leaves the hospital. They have rated us at 9.7 on a 10 point scale in regards to services and medical care at HMH in the first year of commissioning. 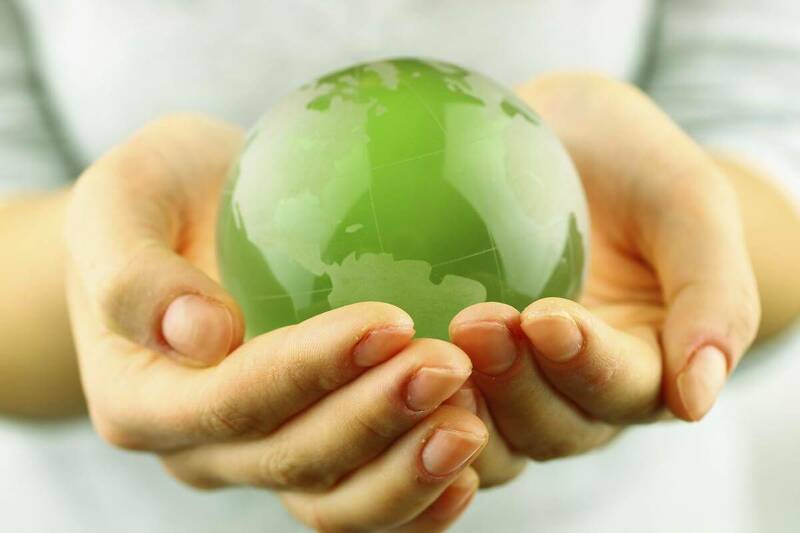 We adhere to stringent infection control protocols and are committed to provide safe and clean environment to our patients and staff alike. We are striving to achieve a infection free hospital. In HMH there are no waiting lists. Your treatment can be started as soon as you are ready. Communication plays an important role in treatment process while caring for people. We ensure that the patient and family are explained about the problem and plan of care in a language understood by them. This enables the patient to accept the treatment. If a patient is of foreign origin, an interpreter is arranged for smooth communication.